Why Choose Atlanta Plastic Surgery Specialists? Welcome to Atlanta Plastic Surgery Specialists. Located in Atlanta, Georgia, we serve patients from all over the United States and the world with premier plastic and reconstructive surgery procedures and services, as well as non-surgical cosmetic procedures. 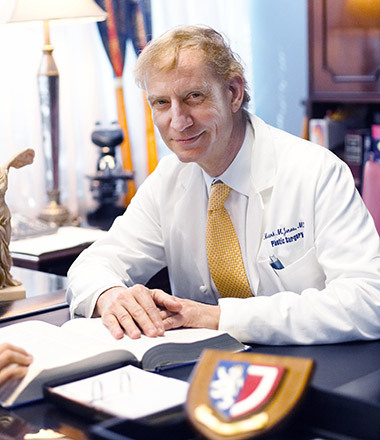 Our practice features an experienced plastic surgery specialist, Dr. Mark Mitchell Jones. With over 20 years of first class education and training, Dr. Jones’ qualifications and experience in cosmetic and reconstructive plastic surgery are unparalleled. With double board certification by The American Board of Plastic Surgery and the American Board of Otolaryngology (ear, nose, and throat: ENT), Dr. Jones is uniquely skilled in enhancing both the aesthetic features and the natural functionality of the body. 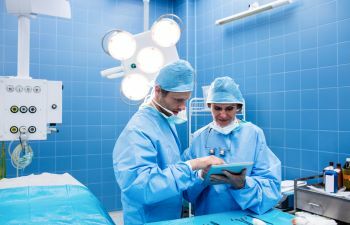 Unlike most plastic surgeons that focus either on the aesthetic or on the internal functions, often at the expense of the other, the breadth and depth of Dr. Jones’ training allows him to optimize both the external and the internal elements in his surgeries. His unmatched skill and mastery of both the aesthetic and the functional sides of surgery has helped him to develop his own proprietary methodologies that result in the longest lasting outcomes and minimize scarring for his patients. As a dedicated plastic and reconstructive surgeon, Dr. Jones considers each individual as a beautiful work of art and creates extraordinary results that look natural and elegant on both the inside and the outside. Surgical body contouring can restore a balanced look to the body by tightening the abdominal area, sculpting the buttocks, or slimming the hips, thighs, or arms for a fitter look. Extreme weight loss is the most common reason for excess skin on the body. Once the fat and weight are gone, there is nothing for the skin that has been stretched out to cling back on to. You can not exercise excess skin away, but it can be surgically removed and modified to create the look that shows off your new and improved body. Dr. Jones has significant experience in tummy tucks and mommy makeovers and can help you achieve the results you are looking for and Dr. Jones also understands that this can be an incredibly empowering and life-changing procedure because it often gives patients the confidence and gratification that all their hard work at weight loss was worth it. Dr. Jones works with every patient on an individualized basis to determine a surgical plan that best suits your specific needs to achieve the results that you desire. Women have breast surgery for many different reasons. Perhaps you have never been happy with your small A-cup and simply wish to enhance your womanly appeal through bigger, fuller breasts. Perhaps you used to have ample breast size and shape but nursing babies drastically altered how they appear and their fullness. A breast lift can recreate the appropriate placement of the breasts so that they do not hang lower than they should. Or maybe your breasts have always been extremely large, causing you back pain and/or unwanted attention. A breast reduction can allow you to create a proportional breast size to your body that leaves you feeling much less self-conscious. Women are not the only candidates for breast surgery. Gynecomastia is a condition that occurs typically in pubescent males, overweight men, and men with hormonal issues who have a condition that causes them to have “women-like breasts.” Most men find this condition extremely embarrassing, and Dr. Jones combines his extensive training and experience with the latest, most innovative techniques at reducing the size of male breasts due to Gynecomastia. Dr. Mark Mitchell Jones is a plastic surgeon who is double board certified by The American Board of Plastic Surgery and The American Board of Otolaryngology (ear, nose, and throat: ENT). With his experience and expertise in both classes of surgery, he is uniquely qualified for all types of reconstructive and cosmetic ear surgery. 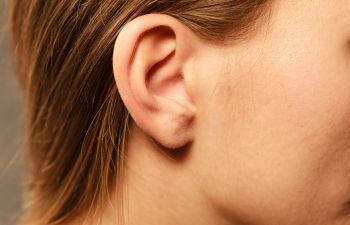 It is a shame, but it is also true that many people, especially children, suffer from teasing if they have oddly shaped, disproportionate, or protruding ears. Cosmetic ear surgery can be done to alter the appearance, shape, size, and symmetry of the ears so that they appear even and well-proportioned to the head. Adults and children are both good candidates for this surgery, and the results can have a huge impact on their confidence. Ear trauma, such as tearing of the ear lobe, burns, and other injuries can also be treated through reconstructive and cosmetic procedures. Dr. Jones is a skilled, experienced, and compassionate surgeon that you can trust to provide quality cosmetic or reconstructive ear surgery. His knowledge in both the aesthetics and functionalities of the ear allow him to provide the highest standard of surgical care to all of his patients. 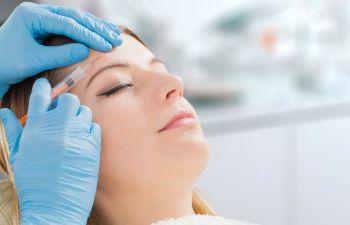 Facial plastic surgery is done for many reasons, but 90% of the time facial cosmetic procedures are done to enhance the aesthetic features of the face. Plastic surgery can allow people of all ages to achieve elegant features, revived firmness, and an improved appearance of the face. As a dual board certified surgeon in both Plastic Surgery and Otolaryngology (Ear, Nose, and Throat: ENT), Dr. Mark Mitchell Jones is able to provide patients with exquisite results, as he understands both the aesthetics and functionality of the facial features. As a dedicated plastic and reconstructive surgeon, Dr. Jones considers each individual as a beautiful work of art and creates extraordinary results that look natural and elegant – both outwardly and through inner confidence. With Atlanta Plastic Surgery Specialists, you can count on elegant results delivered by an experienced surgeon. We are pleased to offer a wide variety of premier plastic and reconstructive services, ranging from facelifts and other aesthetic procedures to the correction of complex genetic deformities. In addition, we offer a full array of non-surgical procedures as well as skin care products and spa treatments to help you look and feel your best. Dr. Mark Mitchell Jones takes time to thoroughly listen to his patients to fully understand what they would like to achieve through their plastic or reconstructive surgical procedure. No one takes an elective surgery lightly, and Dr. Jones understands that you have given much consideration into your choice for surgery. He offers his expertise, knowledge, and compassion to every patient. At Atlanta Plastic Surgery Specialists, we cater to those who are coming in from out of town. We will be happy to assist you in any way that we can to make your trip to Atlanta as relaxing and as enjoyable as possible. Please contact us today to get additional information or to schedule a consultation. We look forward to serving you with top notch plastic and reconstructive surgical care.